Translated from Sovremennaya Matematika. Fundamental’nye Napravleniya (Contemporary Mathematics. Fundamental Directions), Vol. 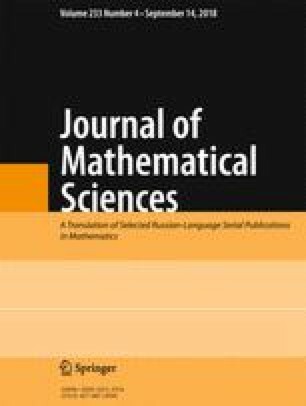 58, Proceedings of the Seventh International Conference on Differential and Functional Differential Equations and InternationalWorkshop “Spatio-Temporal Dynamical Systems” (Moscow, Russia, 22–29 August, 2014). Part 1, 2015.